I am on a crusade. For many, what you are about to read will be the most nutritionally politically incorrect information you have come across in some years. In fact, I would say at least 40 years. 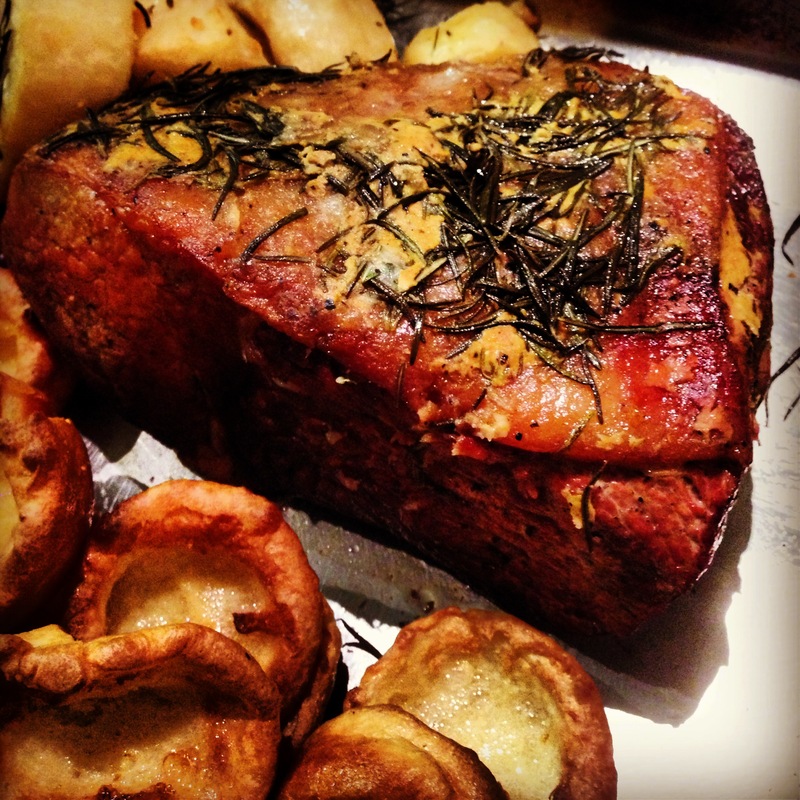 I am about to extol the virtues of the rendered fat from roasted protein – dripping. Purists please turn away. Recent generations have been severely lectured to about the dangers of diets weighing high in saturated fats. Nutritionally sound advice, I would agree. However, the tsk tsking and finger-pointing my grandmother and her compatriots have been subject to for the use of dripping in their family cooking, from subsequent nutritionally ‘informed’ generations has been quite intense. Yet considering her apparent lack of dietary insight, she and her cronies were lean little birds who lived into ripe old ages – meanwhile, the current dripping-free population is fattening and dying. Hmmm. From my observation, it seems that dripping has become the baby thrown out with the nutritional bath water. It has been demonised – unfairly I believe – to the point where our current generation no longer recognises it, let alone its culinary worth. 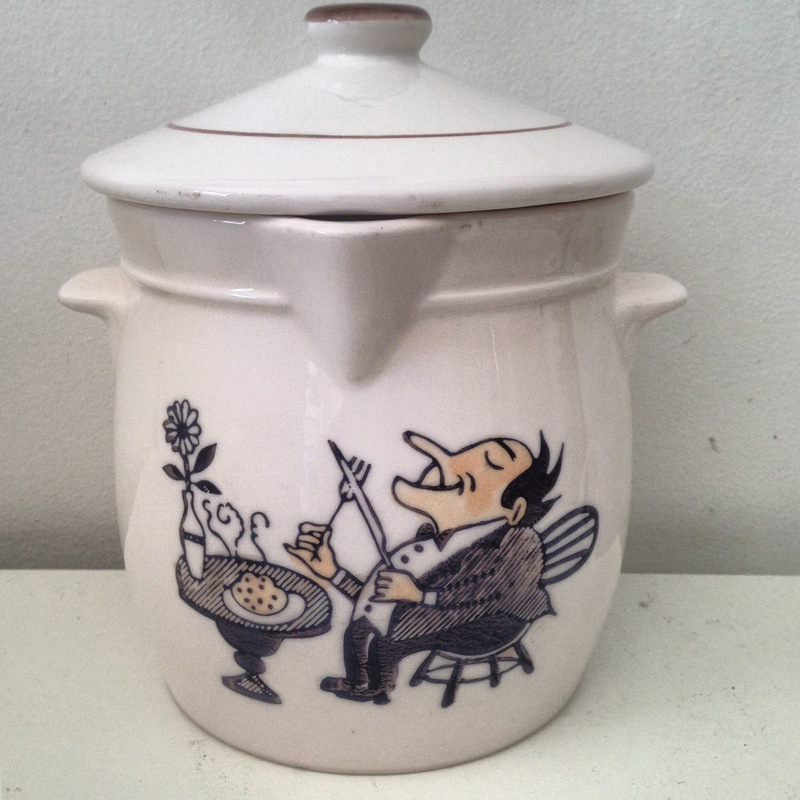 This sweet little vintage pot bears testament to this. Many would be puzzled by its design. It is a dripping pot and it works quite simply. The roasting juices are poured through the strainer, which catches the meat and pan remnants, allowing the rendered fat to flow through. 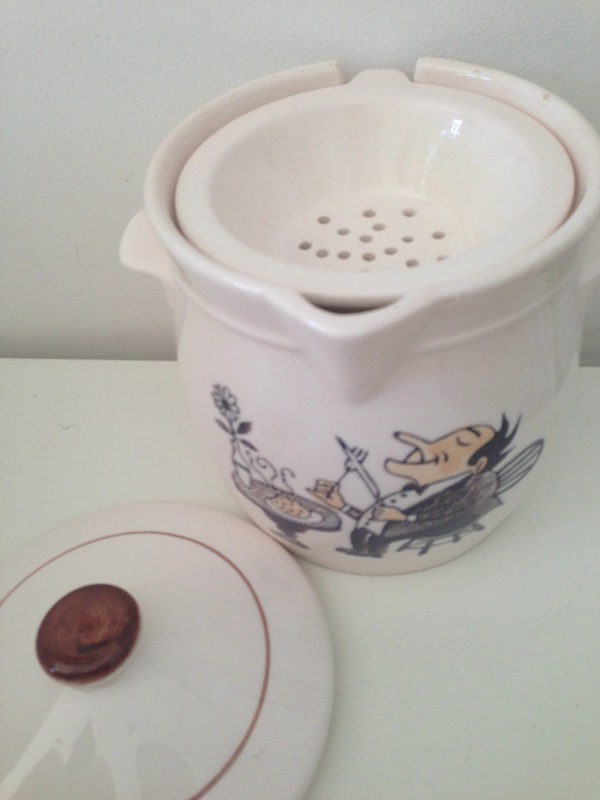 This little pot then takes residence on the refrigerator shelf. After chilling, the fat solidifies and separates from the meat juices. This jar contains the pourings from my roast chicken pan. Now, when I need some fat to brown off vegetables and meats for curries or stews, this flavoursome, natural product is the go to. 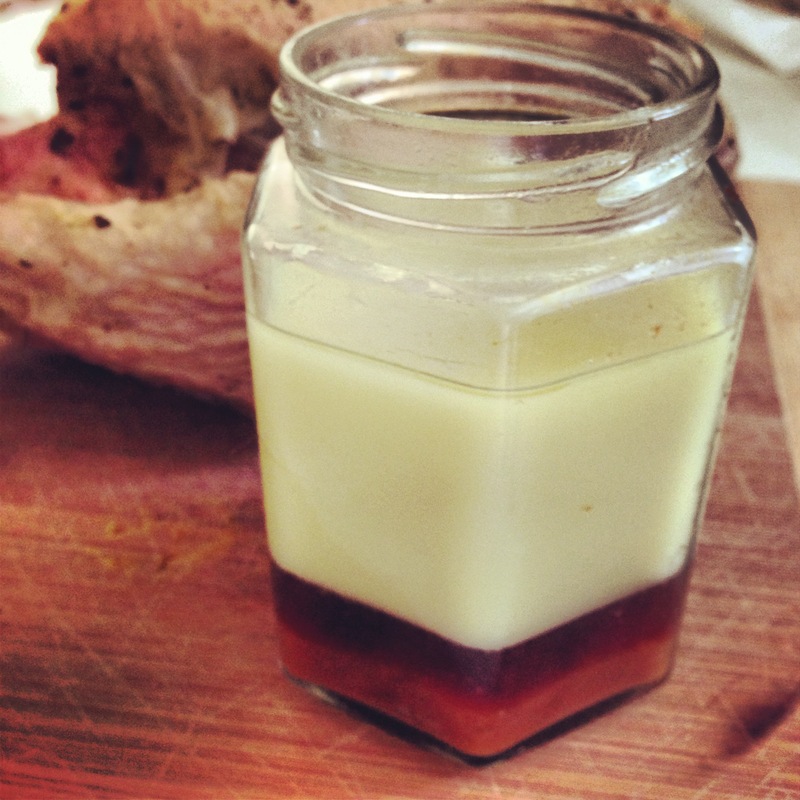 You can have several little pots of power on the go by saving the drippings from pork and beef roasts as well. This is a wonderful old skill to relearn and reinstate into future kitchens. Processed foods don’t tend to end up on our table very often, so therefore room has been made for some flavoursome animal fat in our meals. These small amounts, used in moderation, deliver so much oomph to the dishes you make, and chances are, if you are using them then meals from fresh vegetables and meat are under construction. Not an autolyzed yeast extract or modified cornstarch to be had. Postscript: and just as the purists are picking themselves up off the floor, I have one more arrow to sling – roasted potatoes in dripping.